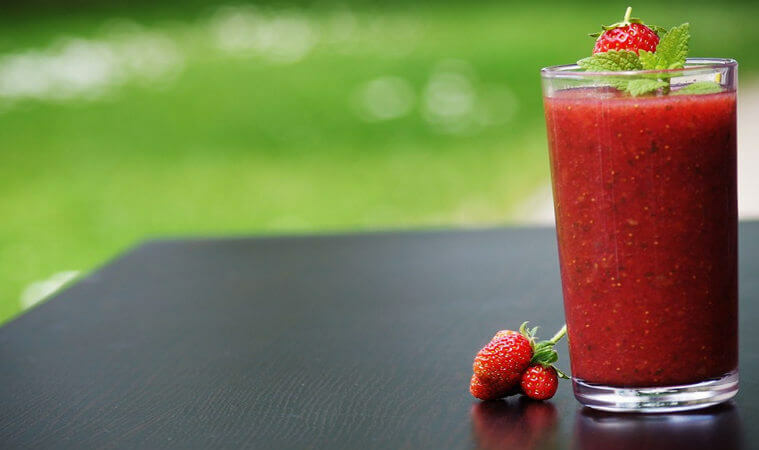 This quick smoothie recipe blends kale with strawberries. So all the nutrition and great health benefits of raw kale, balanced into a smoothie that is actually enjoyable to drink too! Throw everything into a blender. Blitz it until it gets really smooth – some people like chunky kale bits but I find it unpleasant to drink.